October is National Medical Librarians Month! We know you already appreciate the hard work your health sciences librarians do to serve you, but today we want to highlight the awesomeness of all medical librarians everywhere. After all, October is National Medical Librarians Month! Medical librarians fill a variety of roles in many different settings, including academic health sciences centers like UCF COM, special libraries (e.g., cancer centers), hospital libraries, corporate libraries, community college libraries, and more. 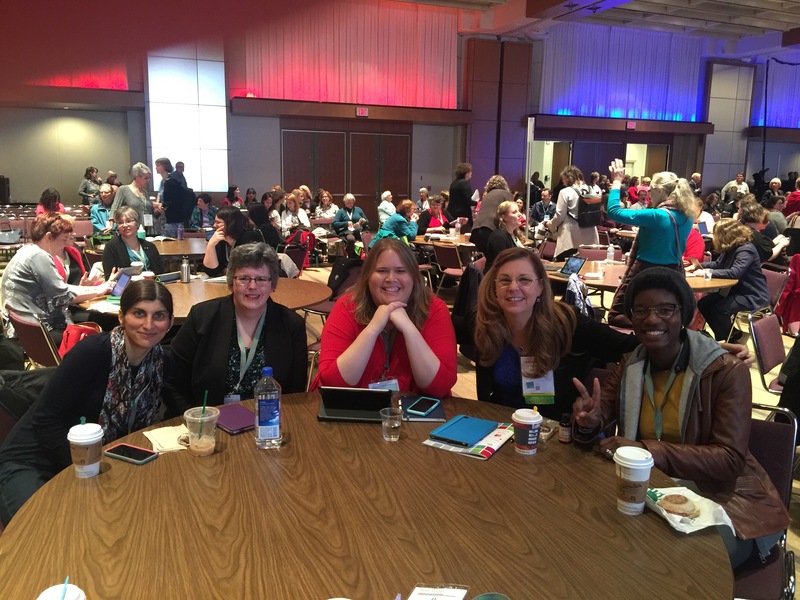 Earlier this month the faculty librarians had the chance to travel to the 2016 Medical Library Association Annual Meeting. Themed “Mosaic: Be part of the big picture”, the meeting was held in Toronto, Canada from May 13 – 18 and brought together two additional groups for the event, the Canadian Health Libraries Association and the International Clinical Librarian Conference. 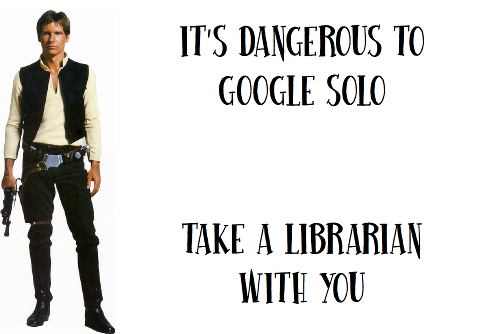 Obviously, geeky references and librarianship go hand in hand. This pleases me. Seriously though, where has the time gone and how is it already a week from October? 2015 has been busy for our library staff, but we couldn’t ask for a better group of colleagues and students to be so busy for. Thanks for letting us do what we do for you! October 1st marks the beginning of National Medical Librarians month. The Medical Library Association dedicates each October to celebrating information professionals who provide expert assistance and guidance to students, faculty, other health care providers and everyday consumers looking for health information inside health sciences and medical libraries. This year the Southern Chapter of the Medical Library Association (SC/MLA) held its annual meeting in Mobile, Alabama from October 26 through October 30. 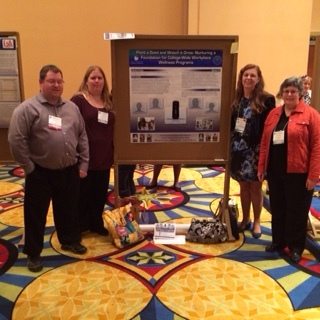 Representing the Harriet F. Ginsburg Library were Nadine Dexter, Deedra Walton, Pamela Herring, and Michael Garner. The theme for the meeting this year was “Making a Difference in Health.” The library presented a poster entitled “Plant a Seed and Watch It Grow: Nurturing a Foundation for College-Wide Workplace Wellness Programs” which highlighted the work that the library lead with the workplace wellness initiative that centered around the FitBit wearable technology. While the presentation was a highlight for each of us there were many other events to keep us busy throughout the day: a meeting of the Consortium of Southern Biomedical Libraries (CONBLS), paper presentations, speakers, roundtable discussions, the ability to meet with vendors face-to-face, the opportunity to network with new colleagues from other medical libraries in the southeastern region of the United States, and the chance to catch up with friends not seen since the last annual meeting. The conference consisted of more than just attending meetings. We took advantage of down time to check out Mobile, Alabama and taste some of the local cuisine, from burgers at a restaurant called the Royal Scam (the food was in fact actual food, no tricks or funny business!) to fantastic seafood at the Oyster House (fire-grilled oysters! ), one of the many top notch seafood restaurants. Robert DeNiro was also in town filming a movie titled Bus 657 also starring Dave Bautista, Jeffrey Dean Morgan, Kate Bosworth, and Lydia Hull. Check it out on IMDB. Unfortunately Mr. DeNiro was too busy to drop by the conference. The conference wrapped up with a banquet at 5 Rivers Delta Resource Center, where the Mobile, Spanish, Tensaw, Apalachee and Blakeley rivers flow into Mobile Bay. In the setting we were treated to a fantastic meal of local food including shrimp, fish, corn nuggets, and capped off with fresh made bread pudding. While we ate we were treated to the music of a bluegrass band. Interesting Fact: Mobile, Alabama is the first place in the United States to start annual celebrations of Mardi Gras. 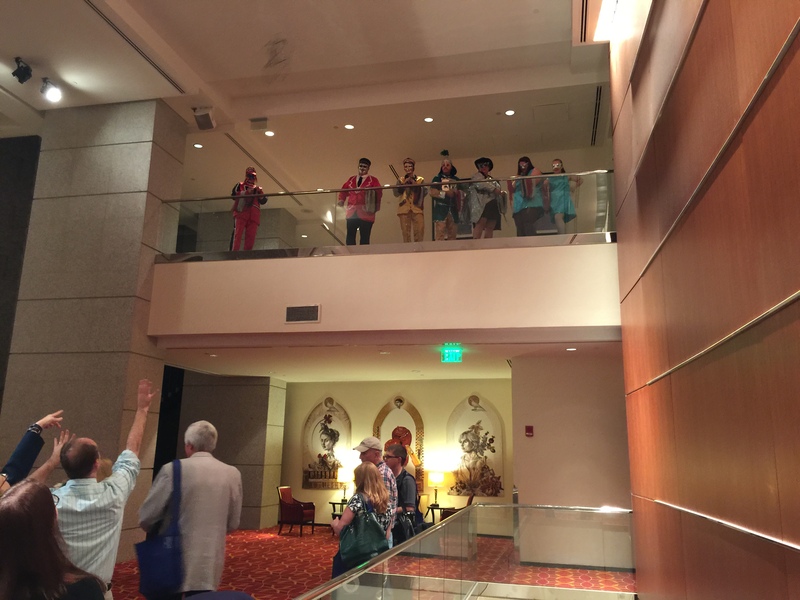 During the opening of the conference we were pelted with beads by a mask-wearing krewe. Duck! National Medical Librarians Month – Myth Busting Edition! In honor of National Medical Librarians Month, let’s bust some information myths with the help of the Medical Library Association! Myth: The internet is a highly reliable source of information. Truth: There is an overwhelming amount of information on the internet, but people still need information training and skills to understand what constitutes valid information. Your medical librarians provide such information training. Myth: Google Scholar is an all encompassing database. Truth: Google and other internet search engines access only 7% of available health-related information. Google and other internet search engines cannot perform searches using a controlled vocabulary and extensive limits and do not search databases that reside behind firewalls or sites requiring internal searches. Myth: Physicians and nurses can quickly find the same information as a librarian. Truth: Information retrieval is a complicated, time consuming, multi-step process, and librarians are more proficient searchers, reducing the time spent on information retrieval and evaluating search results. Myth: Evidence-based medicine can be practiced with point-of-care software. Truth: The purpose of Point-of-Care software is to provide quick reference to summaries for answers to common clinical questions. Complex questions are not appropriate for Point-of-Care software and quality, content and currency varies by product. In-house libraries managed by qualified librarians provide the most cost effective, efficient means to manage and locate quality medical information. A balance between print and electronic resources augmented by interlibrary loan services will best serve the needs of health care professionals. Librarians are part of the health care team. Finding the right information for the healthcare professional is Mission Critical. The end result is improved patient care. 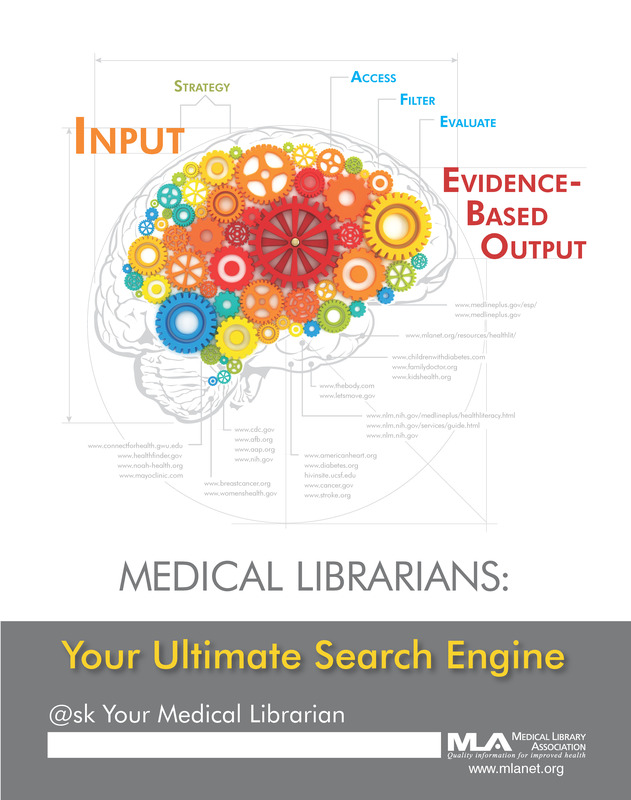 Stop by your Health Sciences Library today to find out how one of our expert medical librarians can help you find what you’re looking for and save you time! Darves B. Strategic searching. Med Net 2004;10(5):1-4. Glanville J, Lefebvre C. Identifying systematic reviews: key resources. Evid Based Med 2000;5:68-69. Henderson J. Google scholar: A source for clinicians? CMAJ 2005;172(12):1549-1550. Medical Library Association. Myths and Truths About Library Services. https://www.mlanet.org/resources/nml-month/index.html. 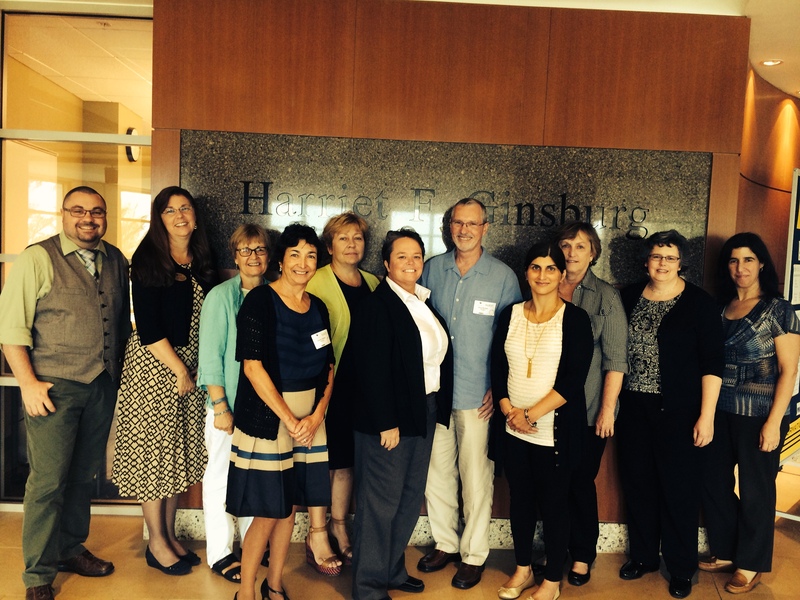 Williams L, Zipperer L. Improving access to information: librarians and nurses team up for patient safety. Nurs Econ 2003;21(4):199-201.